Spotify seems ready for an IPO, but would that be a real IPO? 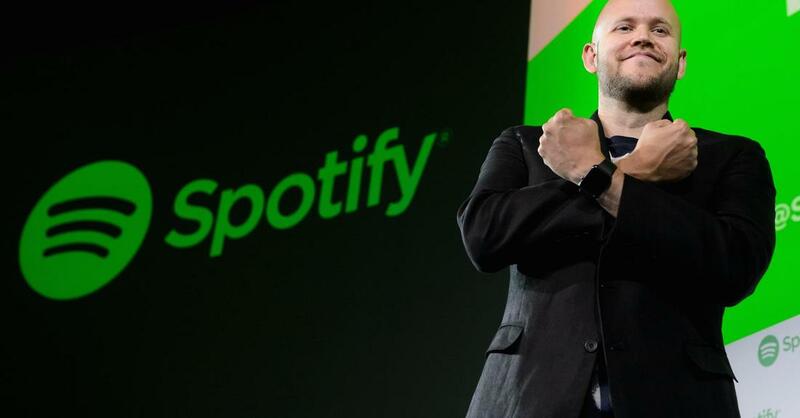 Spotify, the Swedish music, podcast, and video streaming service is planning to go public this year but it is seriously considering joining the stock market without a traditional IPO. According to people familiar with the matter, the idea of the company, recently valued at $8.5 billion, would be to not hold a public sale of shares with the traditional fundraising event; instead, it is considering simply listing its shares on an exchange in what is known as a direct public offering (DPO). Here are the main technical differences between the two options. On the one hand, in a typical IPO most of the shares are usually sold to institutional investors the night before the first day of trading and remain locked up, resulting in only a small portion of the company’s shares (around 25 percent) to be publicly tradable after the IPO. In addition, the final offer price at which the shares are sold is decided by underwriters after prolonged private meetings with potential new investors, so called “roadshow”. On the other hand, in a direct listing, investors can only purchase shares in the open market after they begin trading and, also, the price is established organically according to demand and supply, thus drastically reducing the need for underwriters in the listing process. The plans have not yet been finalized, but Spotify seems open to undertake this unusual approach. The DPO, if compared to a traditional IPO, could in fact have several advantages for the company itself and its existing investors. First, by opting for a direct listing, Spotify could not only save millions of dollars in underwriting fees, but also prevent further share dilution for its existing shareholders and allow the company’s executives to promote their business ahead of its debut, which is not allowed by strict SEC rules governing standard IPOs. Second, early investors would not be subject to rigid lockups regulating the sale of insiders’ shares. Instead, these are mandatory in a traditional IPO in which company insiders are not allowed to sell their shares until the end of the lockup period that often ranges from 90 to 180 days following the first day of trading. Third, the company could avoid the first-day trading “pop” that is extremely frequent in IPOs backed by underwriters. This phenomenon is considered good by some investors but it could also signal that the company potentially “left money on the table”, since by setting a higher price it could have raised more cash for the same number of shares issued, i.e. for the same dilution. Of course, free lunches do not exist, meaning that there must be some potential risks to this approach. Without an offer price chosen beforehand by underwriters, the share price is at the mercy of market forces from the outset, and this is likely to make the company’s debut much more volatile and uncertain. Additional instability could also be triggered by the absence of a syndicate of underwriters that, as it happens in more-traditional IPOs, could buy back the stocks if the deal does not trade well, thus helping the price to stabilize (“Covering the short”). In order to fully understand the potential implications of Spotify going public with a direct listing, one should analyse this case in a much broader context. In the past ten years the IPO activity in the US has decreased significantly if compared to the mid-90s. Indeed, there are clear trends that late-stage VC is replacing IPOs and, moreover, M&A exits are becoming commonplace among private companies. The reason for these phenomena is twofold: the cost of increased scrutiny from investors and regulators - most notably Sarbanes-Oxley legislation in 2002 - and innovation, which is now much more often done externally, through acquisitions, rather than internally as it was more common in the past. Furthermore, even when companies go public, they are recently doing so in unusual ways, like granting founders outsize voting rights, as it happened for instance in Snap’s IPO. This unusual situation is not good news for Wall Street and Spotify’s ultimate decision could be a crossroads for future IPOs. The company’s moves will definitely be watched closely because if it will list successfully in this way, it could open the path to other high valued companies that are looking forward to getting ready access to cash by entering the public domain without using the traditional IPO script.